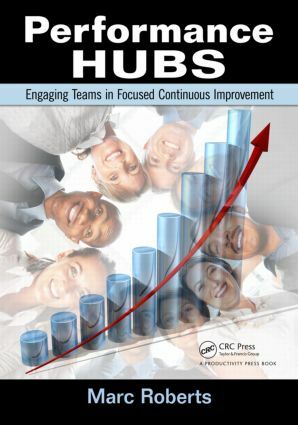 A must-read for all managers, leaders, and change agents, Performance Hubs: Engaging Teams in Focused Continuous Improvement supplies a proven system for engagement that allows teams to use their own data, understand the need for performance improvement, and drive improvements at their own level. Highlighting common pitfalls in improvement initiatives, it provides the tools to help you avoid the disinterested cultural response to improvement efforts that is all too common in organizations suffering from initiative overload.The book details a comprehensive solution to help all employees visualize operational performance. It explains how to cascade the right metrics across all levels of your business to trigger the appropriate use of Lean/Six Sigma tools and techniques into strategic process areas. Demonstrating how to link all continuous improvement activities to address the key issues affecting performance, the book: Explains what a performance hub is and provides the clarity needed for full organizational deployment Describes the four key headings under which a performance hub is configured Follows the natural implementation sequence of events for successful deployment of Performance Hubs Includes Top Tips in each chapter to aid in smooth implementation and to enable sustained results This book and electronic tool kit available on the book's page at https://www.crcpress.com/9781439861349 provide all the working documents�including project management aids, templates, and slides�you and your teams will need to get started. Clarifying how to make continuous improvement a daily habit across all segments of your organization, the authoritative advice provided in these pages will help you align all improvement activities with the current and future needs of your business.